Radioplane — The first large-scale production, purpose-built drone was the product of Reginald Denny. He served with the British Royal Flying Corps during World War I, and after the war emigrated to the United States to seek his fortunes in Hollywood as an actor. Denny had made a name for himself as an actor, and between acting jobs, he pursued his interest in radio control model aircraft in the 1930s. He and his business partners formed "Reginald Denny Industries" and opened a model plane shop in 1934 on Hollywood Boulevard known as "Reginald Denny Hobby Shops". The shop evolved into the "Radioplane Company". Denny believed that low-cost RC aircraft would be very useful for training anti-aircraft gunners, and in 1935 he demonstrated a prototype target drone, the RP-1, to the US Army. Denny then bought a design from Walter Righter in 1938 and began marketing it to hobbyists as the “Dennymite”, and demonstrated it to the Army as the RP-2, and after modifications as the RP-3 and RP-4 in 1939. Rand Robinson — (USA). Huntington Beach, California, producer of single-seat, single-engine sport aircraft designed in the United States in the early 1970s and marketed for homebuilding. Rand Robinson KR-1 — Single-seat single-engine high performance sport aircraft. Raytheon — (USA) Raytheon Company is a major American defense contractor and industrial corporation with core manufacturing concentrations in defense systems and defense and commercial electronics. It was previously involved in corporate and special-mission aircraft until early 2007. Raytheon is the world's largest producer of guided missiles. Established in 1922, the company reincorporated in 1928 and adopted its present name in 1959. The company has around 73,000 employees worldwide and annual revenues of approximately US $20 billion. More than 90 percent of Raytheon's revenues were obtained from defense contracts and, as of 2007, it was the fifth largest defense contractor in the world, and is the fourth largest defense contractor in the United States by revenue. Raytheon Headquarters was moved from Lexington, Massachusetts to Waltham, Massachusetts on October 27, 2003. The company was previously headquartered in Cambridge, Massachusetts from 1922-1928, Newton, Massachusetts from 1928-1941, Waltham from 1941-1961, Lexington from 1961-2003, and Back to Waltham from 2003 onwards. Raytheon AAM-N-6 “Sparrow III” — Medium-range semi-active radar homing air-to-air missile. Raytheon AGM-65A “Maverick” — Air-to-ground tactical missile (AGM) designed for close air support. Raytheon AGM-88 “HARM” — High-speed Anti-Radiation Missile (HARM) is a tactical, air-to-surface missile designed to home in on electronic transmissions coming from surface-to-air radar systems. Raytheon AIM-9 “Sidewinder” — Heat-seeking, short-range, air-to-air missile carried by fighter aircraft and recently, certain gunship helicopters. Raytheon GBU-24 “Paveway III” — GBU-24 is a family of laser-guided bombs, a sub-group of the larger Raytheon Paveway III family of weapons. Raytheon MIM-23 “HAWK” — The Raytheon MIM-23 HAWK is an American medium range surface-to-air missile. Raytheon T-1A “Jayhawk” — Twin-engine jet aircraft used by the United States Air Force for advanced pilot training. Raytheon T-6A “Texan II” — Single-engine turboprop aircraft built by the Raytheon Aircraft Company (now Hawker Beechcraft). Republic — (USA) The Republic Aviation Corporation was an American aircraft manufacturer based in Farmingdale, Long Island, New York. Originally known as the Seversky Aircraft Company, the company was responsible for the design and production of many important military aircraft, including the P-47 Thunderbolt, F-84 Thunderjet, and F-105 Thunderchief. Republic P-47D-2 “Thunderbolt” (RazorBack) — Single-engine single-seat World War II fighter-bomber. Republic P-47D-25 “Thunderbolt” (Bubbletop) — Single-engine single-seat World War II fighter-bomber. Republic (Curtiss) P-47G “Thunderbolt” (RazorBack) — Single-engine single-seat World War II fighter-bomber. Republic P-47N “Thunderbolt” — Single-engine single-seat World War II fighter-bomber. Republic F-84C “Thunderjet” — Single-engine single-seat American-built turbojet fighter-bomber Aircraft. Republic F-84E “Thunderjet” — Single-engine single-seat American-built turbojet fighter-bomber Aircraft. Republic F-84F “Thunderstreak” — Single-engine single-seat American-built turbojet fighter-bomber Aircraft. Republic RF-84F “Thunderflash” — Single-engine single-seat American-built turbojet photo reconnaissance aircraft. Republic RF-84K “Thunderflash” — Single-engine single-seat American-built turbojet photo reconnaissance aircraft. Republic F-105B “Thunderchief” — Single-engine single-seat supersonic fighter-bomber used by the United States Air Force. Republic F-105D “Thunderchief” — Single-engine single-seat supersonic fighter-bomber used by the United States Air Force. Republic F-105G “Wild Weasel” — Two-seat supersonic fighter-bomber equipped with radar seeking missiles to remove radars and SAM installations. Republic RC-3 “Seabee” — Single-engine all-metal amphibious sports aircraft. Ric Jet Systems “Ric Jet-4” — Single-engine single-seat fixed-wing experimental aircraft. Robin — (France) Avions Robin was a French manufacturer of light aeroplanes. It was previously known as Avions Pierre Robin and Centre Est Aeronautique. The company was bought by Apex Aircraft in 1988. Robin R-2160 “Sport” — French low-wing fully-aerobatic two-seat trainer. Robinson — (USA) Robinson Helicopter Company of Torrance, California is the largest manufacturer of civil helicopters in the world. It was founded in 1973 by Frank Robinson, an ex-employee of Bell Helicopter and The Hughes Helicopter Company. Since delivering its first helicopter in 1979, Robinson Helicopter has produced over 8,000 aircraft. (The number was hit by an R44.) Robinson currently produces two models - the two-seat R22, and the four-seat R44, both of which use Lycoming piston engines virtually identical to those found in fixed-wing general aviation aircraft, such as the Cessna 172. In March 2007, Robinson announced plans for production of the Robinson R66, a 5-seat helicopter of similar configuration to the R44, but with the addition of a luggage compartment, wider cabin (by 8 inches), and powered by a Rolls Royce gas turbine engine. In December 2007, Robinson delivered its 800th helicopter for the year, a production record. The company was the highest rated helicopter manufacturer in Rotor and Wing magazine's survey of operators. Robinson R22 “Beta II” — Two-blade, single-engine light utility helicopter. Robinson R44 “Raven” — Four-place, light helicopter. Rockwell — (USA) Rockwell International was one of America's premier companies in the latter half of the 20th century. It was the ultimate incarnation of a series of companies under the sphere of influence of Colonel Willard F. Rockwell. The various companies in the Rockwell empire list a huge number of firsts, including the famous WWII P-51 “Mustang” fighter and the B-25 “Mitchell” Bomber; and the Korean War-era F-86 “Sabre”, as well as the “Apollo” spacecraft, the B-1 “Lancer” bomber, the Space Shuttle“”, and most of the “Navstar Global Positioning System” satellites. Rocketdyne, which had been spun off by North American in 1955 was re-merged into Rockwell in 1984, and by this point produced most of the rocket engines used in the US. Rockwell also took over and manufactured the light business aircraft previously known as “Aero Commanders”, then introduced their own new design as the Rockwell “Commander 112” and “Commander 114”. Rockwell YU-9A (YL-26) “Aero Commander” — Light twin-engine high-wing utility/VIP transport aircraft. Rockwell Model 114 — American four-seat single piston-engine cabin monoplane. Rockwell Model 695 “Aero Commander” — Twin-engine turbo-prop business aircraft. Rockwell B-1A “Lancer” — Supersonic strategic bomber used by the United States Air Force. Rockwell B-1B “Lancer” — Subsonic strategic bomber used by the United States Air Force. Rockwell Space Shuttle “Enterprise” OV-101 — NASA Orbiter Vehicle Designation: OV-101 was the first Space Shuttle orbiter. Rockwell GBU-15 — Guided Bomb Unit 15 unpowered, glide weapon used to destroy high-value enemy targets. Roloff — (USA) Three professional pilots, Charles Roloff (Palos Park, Illinois), Robert Liposky and Carl Unger, produced RLU-1 “Breezy” tandem three-seat, "vintage configuration with all modern facilities", some hundreds flying. Roloff-Unger RLU-1 “Breezy” — American amateur build vintage configuration, three-seater light aircraft first flown in 1964. Rose — (USA) Rose Aeroplane & Motor Company formed 1934 at 4415 E. Clark St., Chicago, to produce “Parakeet” single-seat biplane. Rights purchased 1949 by Hannaford, and 10 years later offered plans/kits of improved version. Rose “Parakeet A-1” — Single-seat sporting biplane produced in small numbers in the United States during the 1930s. Rotary Rocket, Inc. — (USA) Rocketry company that was headquartered in a 45,000-square-foot (4,200 m²) facility at Mojave Airport that developed the “Roton” concept in the late 1990s as a fully reusable Single Stage to Orbit (SSTO) manned spacecraft. “Roton” was intended to reduce costs of launching payloads into low earth orbit by a factor of ten. Gary Hudson championed the design and formed the company. A full-scale test vehicle made three hover flights in 1999, but the company ran out of funds and closed its doors in early 2001. Rotary Rocket “Roton C-9” — Cone-shaped launch vehicle, with a helicopter rotor on top for use only during landing. RotorWay — (USA) Formed in 1970 by B.J. Sschramm at Tempe, Arizona, to produce improved helicopter named “Scorpion Too”. Subsequently moved to Chandler, Arizona, and added RW-145 engine of 150-hp. By 1984 had produced completely new "Exec" helicopter. In 1990 move to 300 S. 25th Ave., Phoenix, going into liquidation. Assets bought by Englishman John Netherwood, who formed RotorWay International, 1 June 1990 (company name Cobb International), marketing "Exec" with 23 modifications for sale worldwide. RotorWay “Exec” — Light-weight kit-built helicopter. Royal Aircraft Factory — (UK) It was created in 1908 as H.M. Balloon Factory. In October that year Samuel Cody made the first aeroplane flight in Britain at Farnborough. In 1911 it was renamed the Royal Aircraft Factory (RAF). Among its designers was Geoffrey de Havilland who later founded his own company, and Henry Folland - later chief designer at Gloster Aircraft Company, and founder of his own company Folland Aircraft. Royal Aircraft Factory B.E.2b — B.E.2b (Blériot Experimental) was a British single-engine two-seat biplane in service with the Royal Flying Corps (RFC) during World War I.
Royal Aircraft Factory B.E.2c — B.E.2c (Blériot Experimental) was a British single-engine two-seat biplane in service with the Royal Flying Corps (RFC) during World War I.
Royal Aircraft Factory S.E.5A — S.E.5A (Scout Experimental) British biplane fighter aircraft of the First World War. Royal Aircraft Factory S.E.5E — S.E.5E (Scout Experimental) American (Eberhart) built British biplane fighter aircraft of the First World War. Rutan Aircraft Company — Scaled Composites, formerly the Rutan Aircraft Factory, is an aerospace company currently owned by Northrop Grumman that is located at the Mojave Spaceport, Mojave, California, United States and is headed by aircraft designer Burt Rutan. Prior to acquisition by Northrop Grumman, the company was founded to develop experimental aircraft, but now focuses on designing and developing concept craft and prototype fabrication processes for aircraft and other vehicles. It is known for unconventional designs, for its use of non-metal, composite materials, and for winning the “Ansari X Prize” with its experimental spacecraft “SpaceShipOne”. Rutan “Long-EZ” — Two-seat homebuilt canard monoplane. Rutan “Quickie” — Light single seat homebuilt aircraft designed by Burt Rutan. Rutan “Solitaire” — Single-seat self-launching sailplane designed by Burt Rutan. Rutan “Vari-Eze” — Two-seat Homebuilt canard monoplane. Rutan “VariViggen” — Two-seat homebuilt canard monoplane. Rutan “Voyager 76” — First aircraft to fly around the world without stopping or refueling. Ryan — The Ryan Aeronautical Company was founded by T. Claude Ryan in San Diego, California, USA in 1934. T.C. Ryan, previously best known for building Charles Lindbergh's transatlantic “Spirit of St. Louis”, actually had no part in building the famous plane other than founding Ryan Airlines in 1925. Ryan had been owner or partner in several previous companies, one of which also bore the name Ryan Aeronautical. The “Spirit of St. Louis”, was not built by the final Ryan Aeronautical entity. Northrop Grumman purchased Ryan Aeronautical in 1999. Ryan built several historically and technically significant aircraft, including two famous V/STOL designs, but its most successful production aircraft would be the Ryan “Firebee” line of unmanned drones used as targets and unmanned air vehicles. Ryan AQM-34N “Firebee” — Jet-propelled target drone or unmanned aerial vehicle. Ryan BQM-34 “Firebee” — Jet-propelled target drone or unmanned aerial vehicle. Ryan Model 147 “Firebee” — Jet-propelled target drone or unmanned aerial vehicle. Ryan “Navion” — Single-engine, four-seat aircraft. Ryan “Navion B” — Single-engine, four-seat aircraft. Ryan NYP“ Spirit of St. Louis” — The Spirit of St. Louis (Registration: N-X-211) is the custom-built single engine, single seat monoplane that was flown solo by Charles Lindbergh on the first non-stop flight from New York to Paris. Ryan PT-22 “Recruit” — Two seat, low wing monoplane training aircraft. Ryan ST3KR — Two seat, low wing monoplane training aircraft. 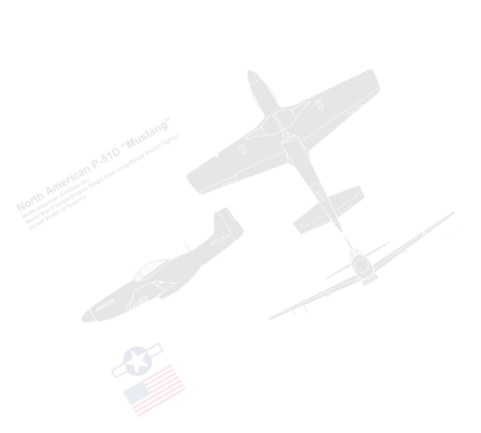 Ryan ST-A — Two seat, low wing monoplane training aircraft. Ryan X-13 “Vertijet” — Experimental VTOL (Vertical Take-Off and Landing) aircraft.